Bond Insurance Group | How Much Homeowners Insurance Do You Need? When buying a home you think about the mortgage and the bills associated with owning a home. 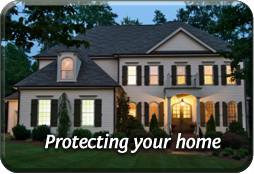 But, just as important, is to figure out what your homeowners insurance will cost. It's especially important to figure out the cost of homeowners insurance to get an accurate budget of your living expenses. Just like with a car, your deductible will impact the cost of your homeowners insurance. If you pick a plan with a high deductible, the annual premium for your insurance coverage most likely will be lower. However, if you have to make a claim for repairs to your home, your out-of-pocket cost will be higher too. On the other hand, a low deductible will cost you more up front, but you will pay a smaller amount if you have a claim. The value of your personal belongings also have a lot to do with the value of your home. If you're living in a home worth $150,000, but your belongings are worth $50,000, you will will want a policy that covers both these amounts. Otherwise, if something happens, you could still be at a loss, even with insurance coverage.